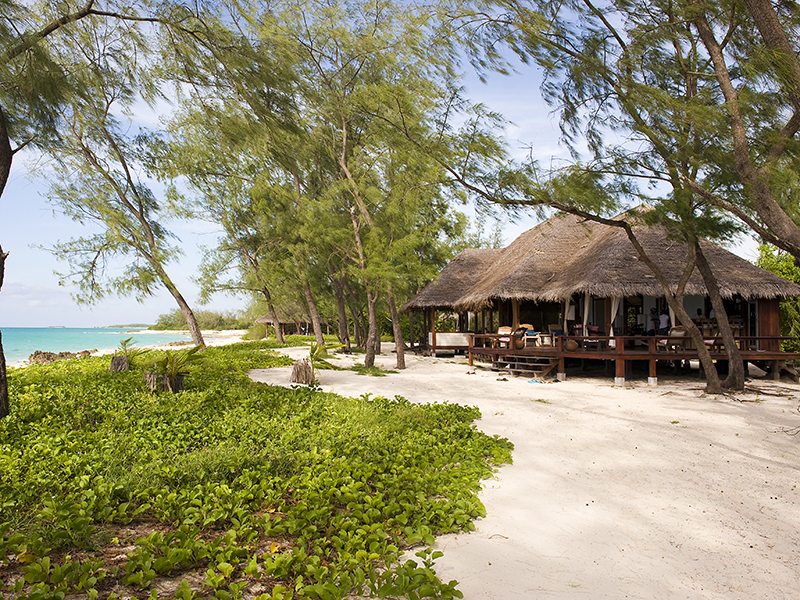 Vamizi Island is situated close to the Tanzanian border in the northern section of the Quirimbas Archipelago. The island is large with mature vegetation and there is just one luxury lodge situated on the prime position of the island. 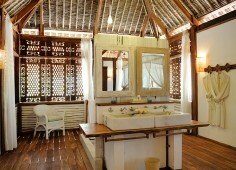 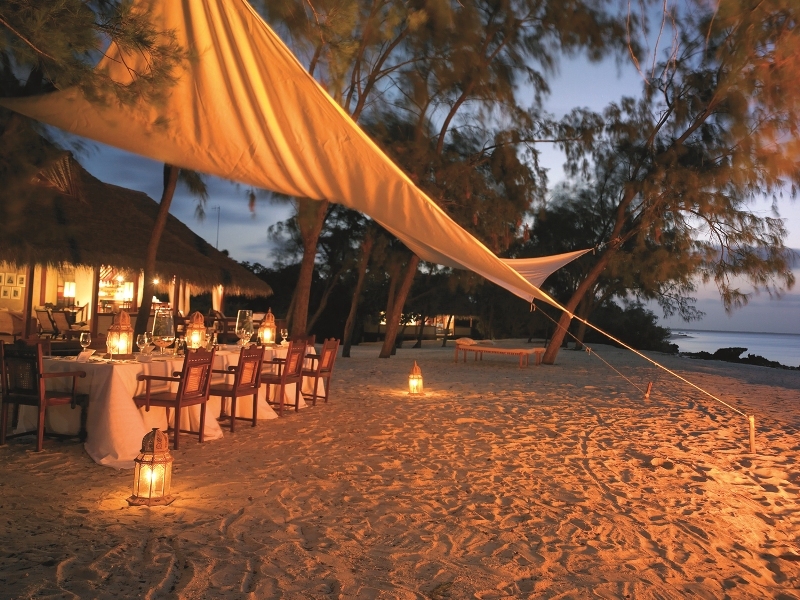 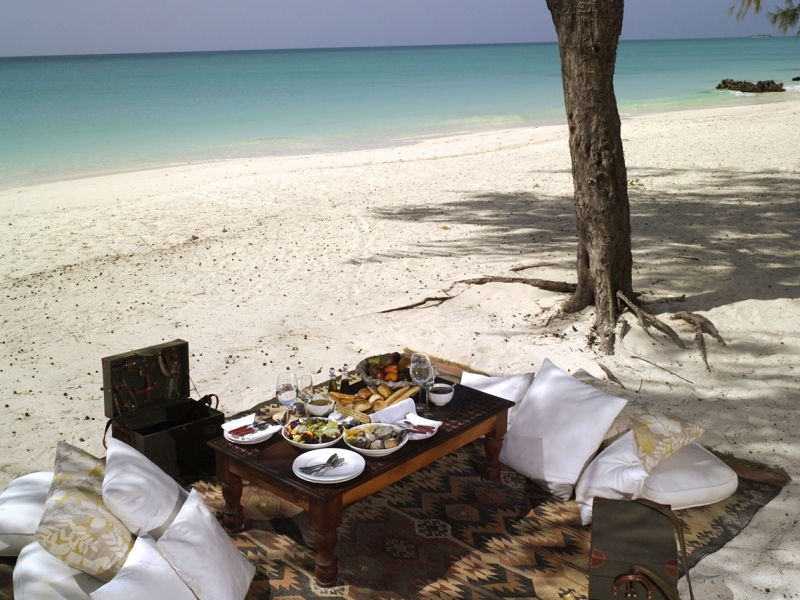 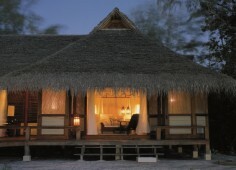 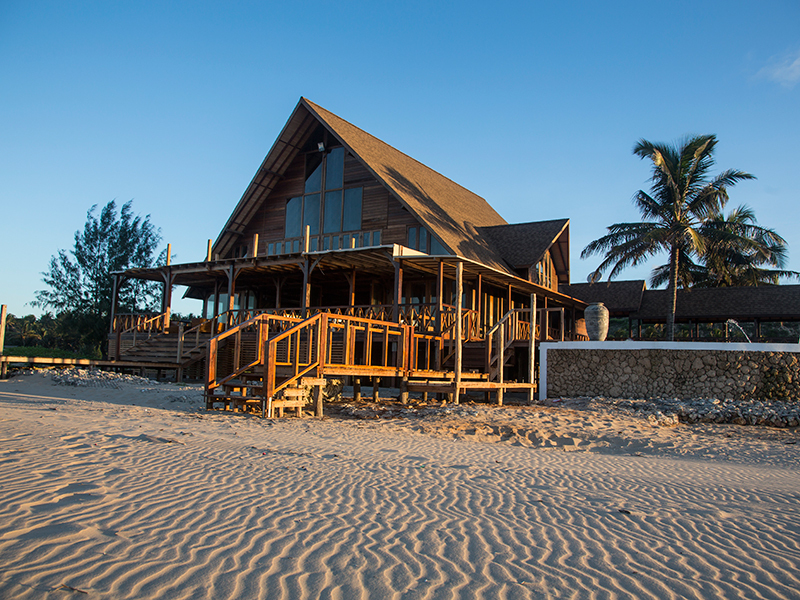 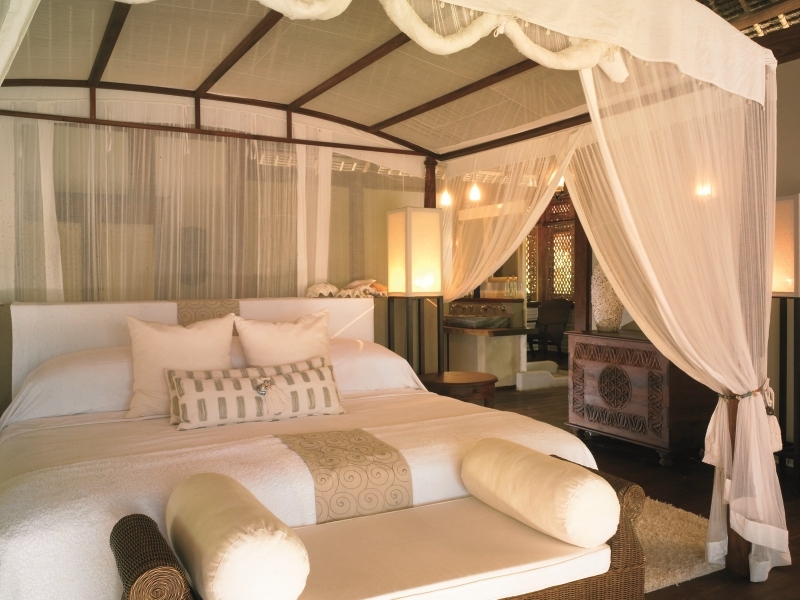 Vamizi is very special and it is currently the most expensive and discerning island beach lodge in Mozambique. 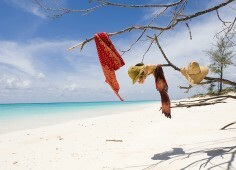 The island is approximately 12 km long and 2km wide. 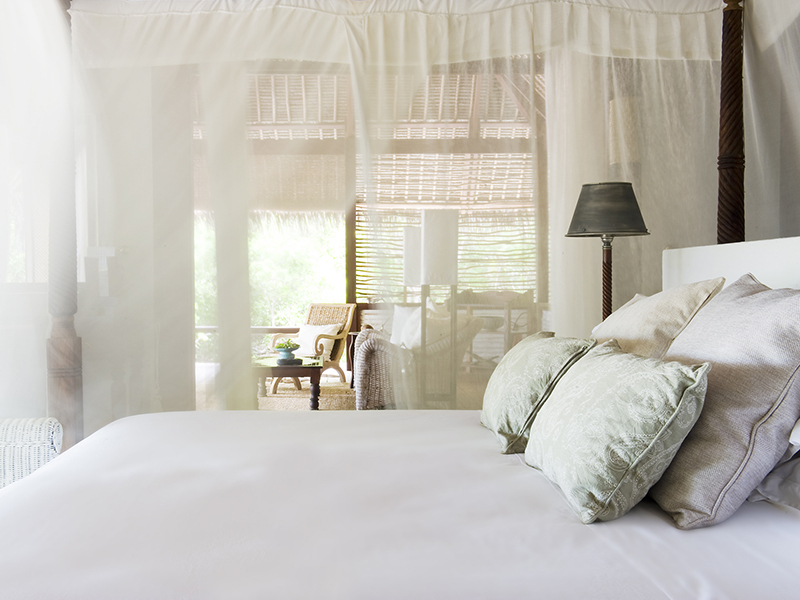 Vamizi is a discerning and well operated luxury lodge that still maintains an unpretentious atmosphere. 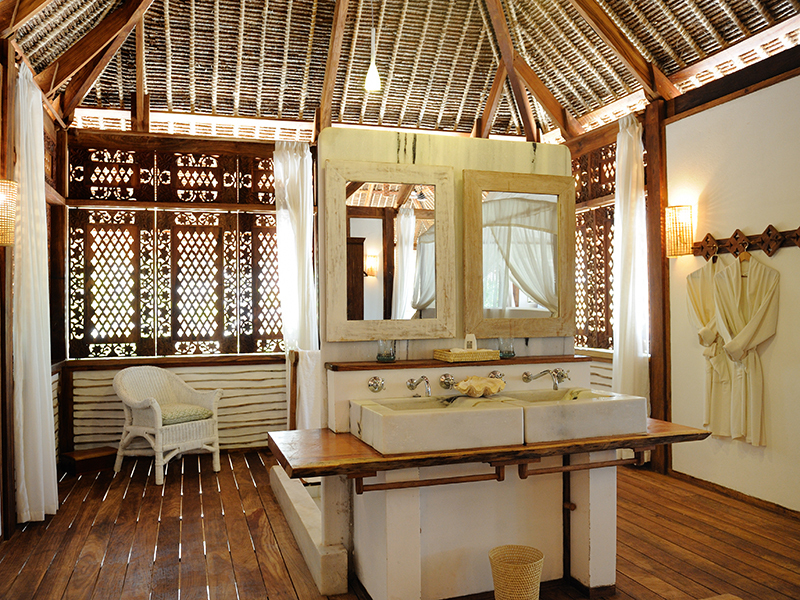 The accent is on relaxation, beauty, space, privacy and conservation. 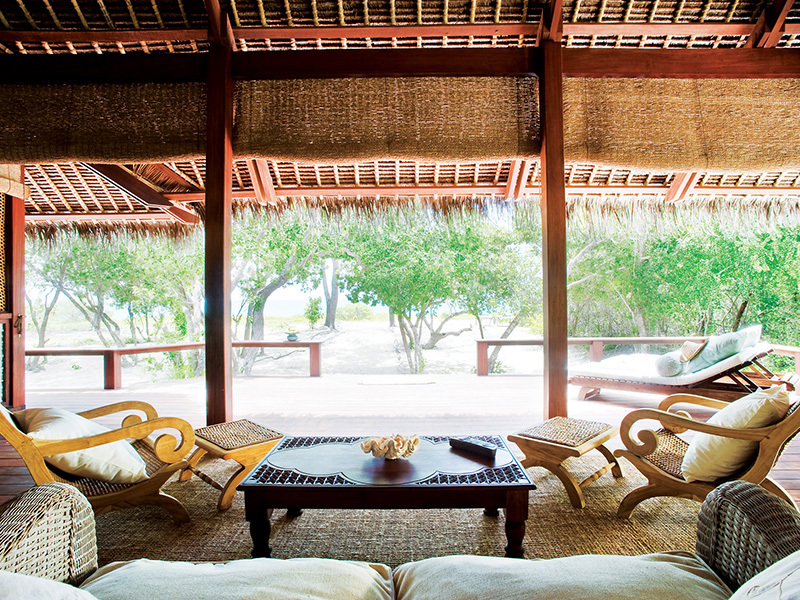 There are just 10 Villas that are spread far enough from each other to create super privacy. 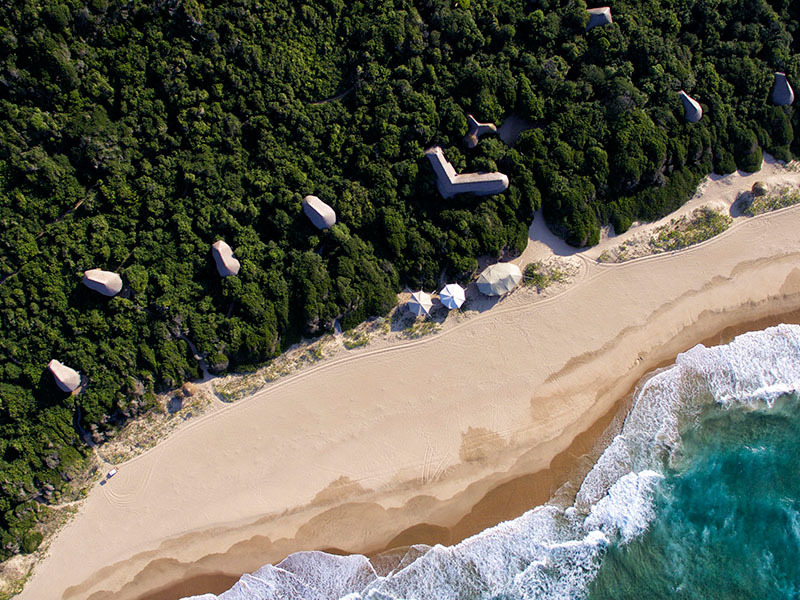 Vamizi offers a wide range of water and land activities. 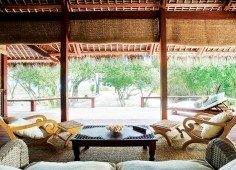 Vamizi has its own body and soul center. 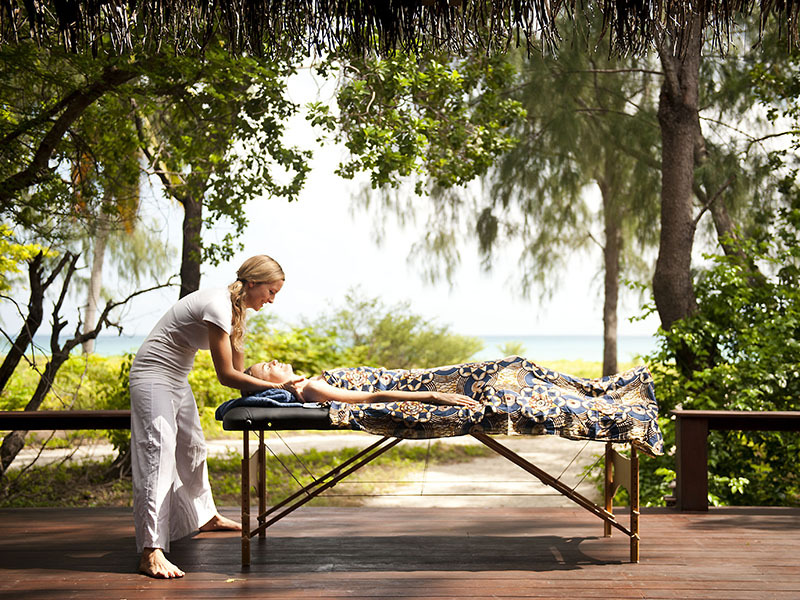 Body treatments available include shiatsu, reiki and cranio-sacral therapy. A yoga therapist is also available for yoga sessions on the beach. 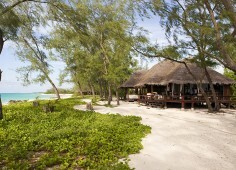 Vamizi Island is situated close to the Tanzanian border in the northern section of the Quirimbas Archipelago. 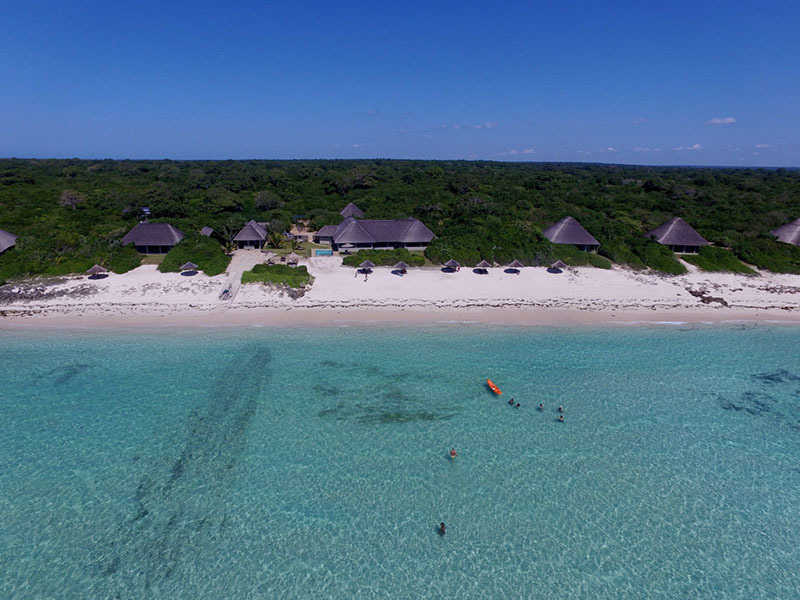 The island is large with mature vegetation and there is just one luxury lodge situated on the prime position of the island. 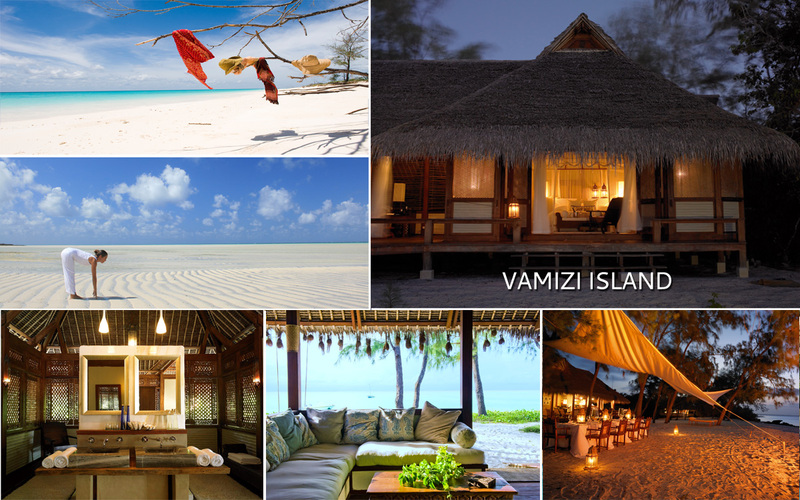 Dar es Salaam (Tanzania) and Pemba (Mozambique) are the most convenient destinations from which to access Vamizi. 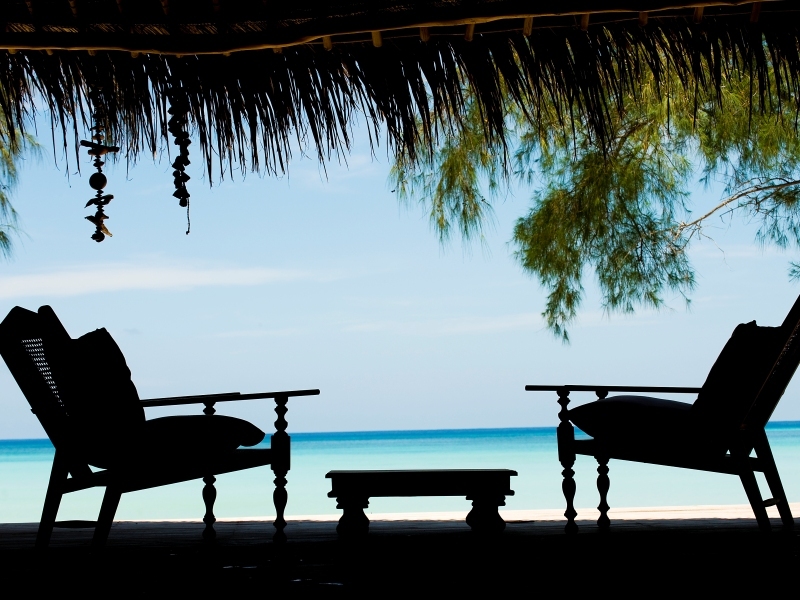 Vamizi operates scheduled light air transfers from Dar es Salaam (2 hours) and Pemba (45min) to the Island every Wednesday and Saturday. 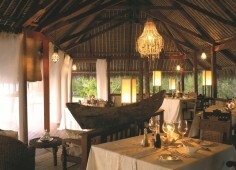 Outside of these days the island is accessible only by private charter. 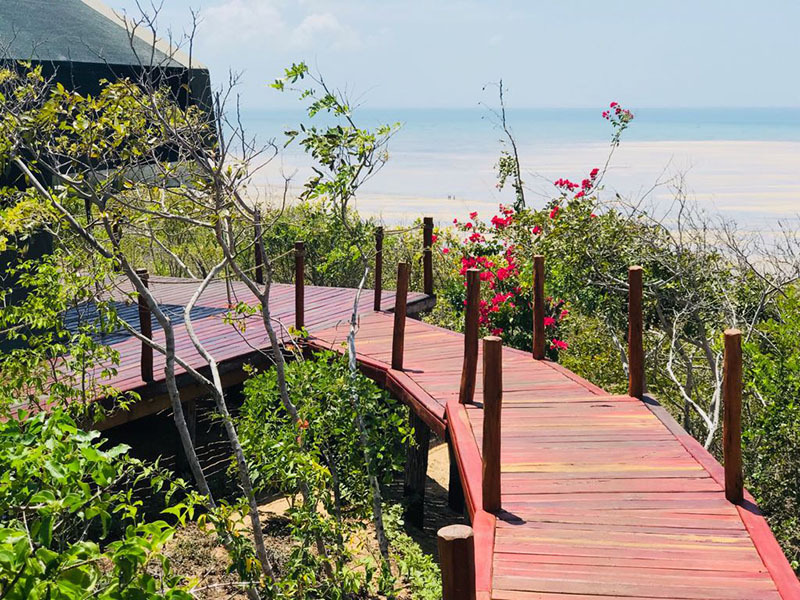 On Arrival on the Island you will be met at the airstrip by one of Vamizi Island’s 4 x 4 vehicles and transferred to the Lodge or Private Villas by forest road. 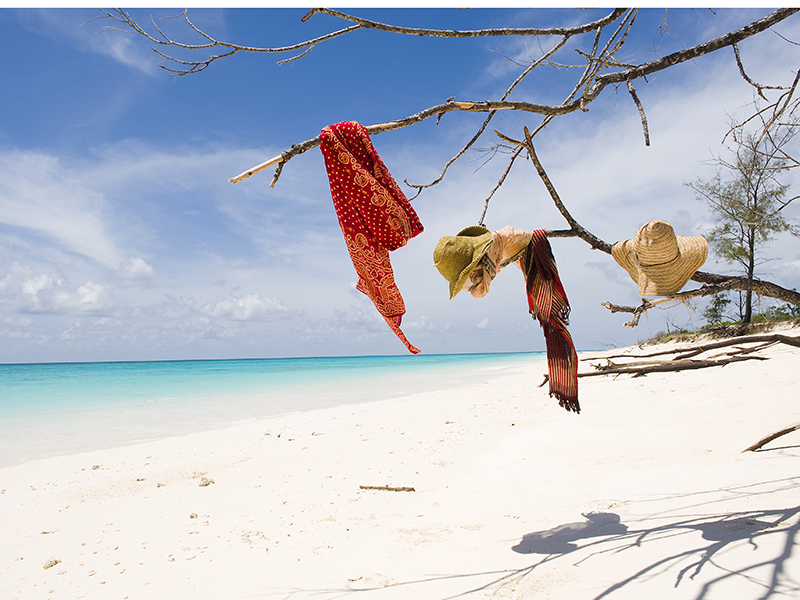 Please be aware that this can be bumpy due to the uneven coral surface. Transfers take between 25 and 45 minutes.